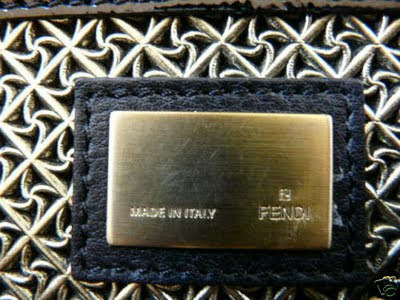 What's the first thing that comes into your mind when you think about the famous Italian fashion house "FENDI" ? those big "FF" logos all over the place right? 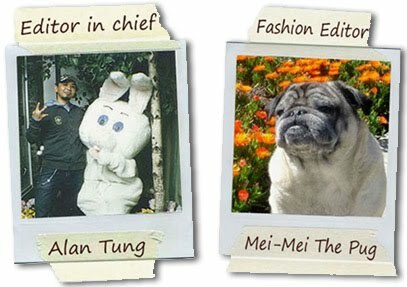 If you love their logos then you can't get enough of it ( Just like I am such a CHANEL "CC" logo freak! haha) but if you hated their "FF" logo then you probably would totally disregard any of the FENDI handbags. BUT!!! 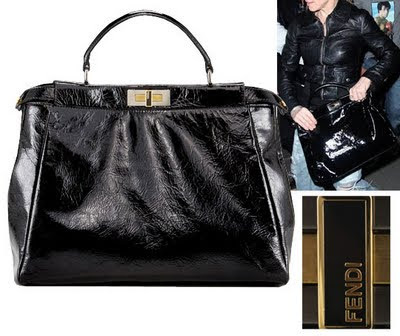 Since in Spring/Summer 2009 collection continues to Fall/Winter 2009 and 2010, Fendi has came up with all different type of the new "IT BAG" name "Peekaboo Bag". It's sophisticated & understated! all the bells & whistles are inside of the bag! so when you close the bag all you see just a understated handbag but when you leave it open, the top droops down and reveals all different types of beautiful lining inside of the bag. From beaded "FF logo" to Fur & snakeskin lining! 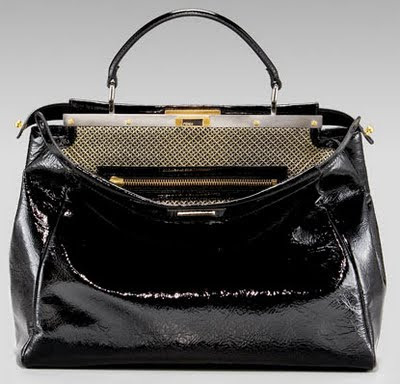 This crinkled patent Peek-A-Boo bag is so understated and ladylike that I almost can't believe it's Fendi. I mean, where are all the bells and whistles? There's not even any snakeskin on this bag! The truth is that this bag doesn't need anything extra to make it work. It has an old fashioned, sophisticated charm that defies trends. The simple shape of the bag combined with the sleek patent material and the pronounced seams creates a sharply tailored look that will work for a lot of women. For edgier fashionistas, the Peek-A-Boo would make a great bag for the office, but I think a lot of women will find that this is a highly versatile, high quality accessory that can coordinate with a lot of looks. 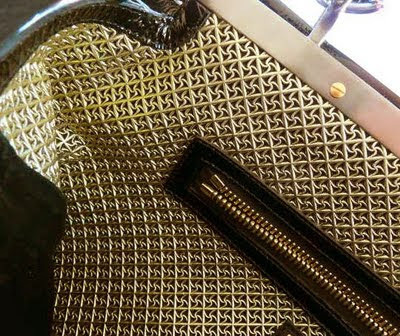 The details on this bag are so luxurious and plentiful that it's hard to know where to begin. The inside of the Peek-A-Boo is made of a fabulous laser cut suede with gold paint that will make you want to reach into your purse at every possible opportunity. The gold metal hardware is understated and beautiful. And the interior compartment of the bag is ingeniously divided into two sections, which each have pockets of their own.